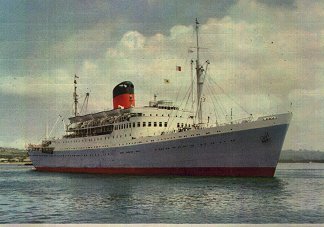 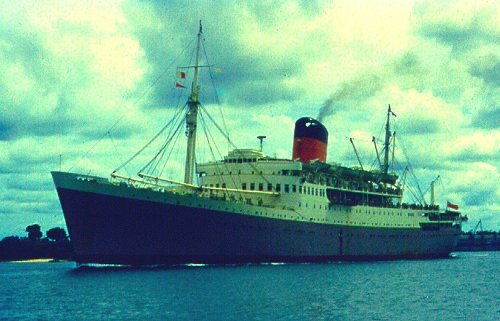 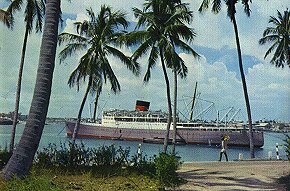 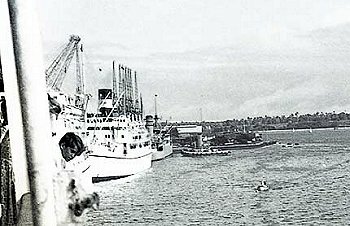 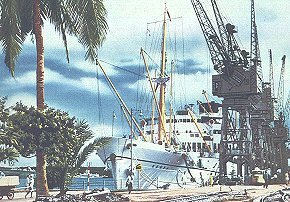 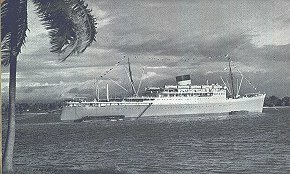 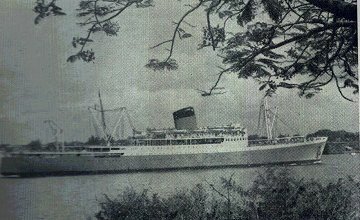 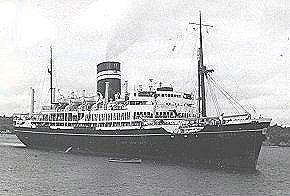 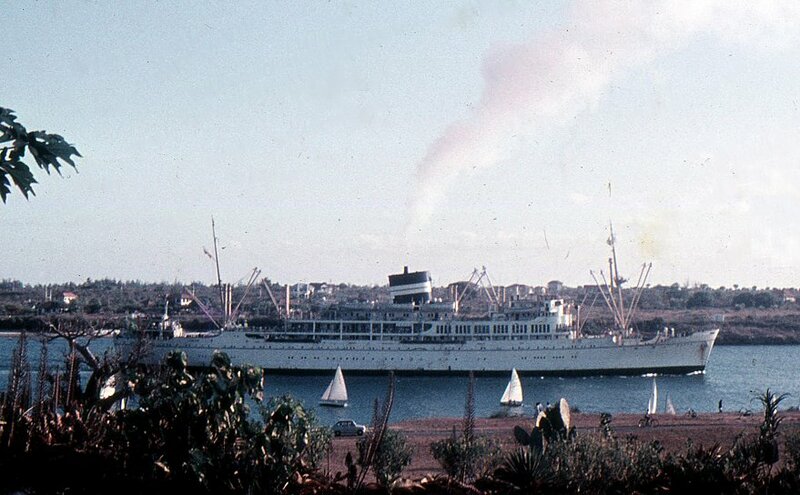 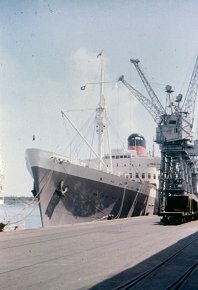 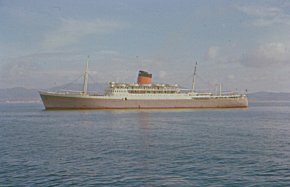 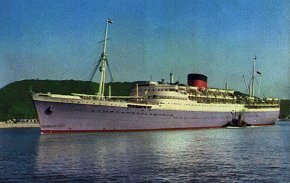 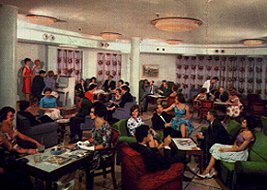 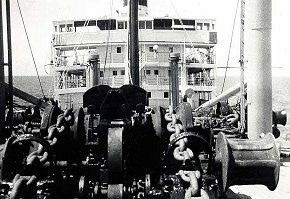 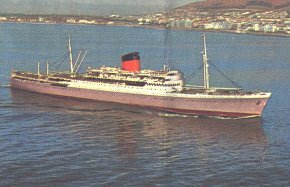 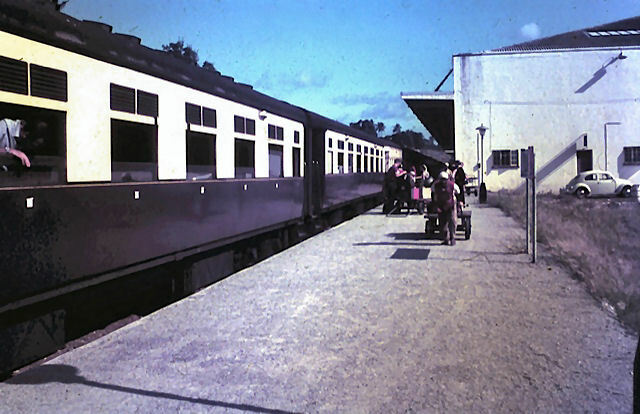 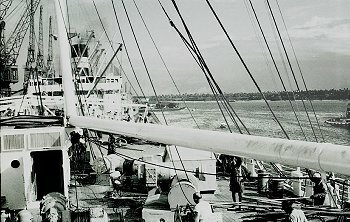 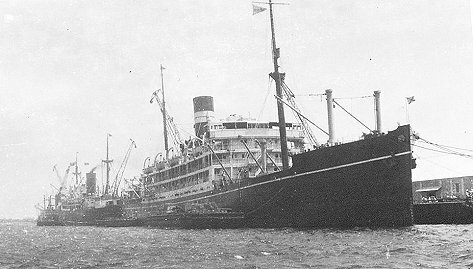 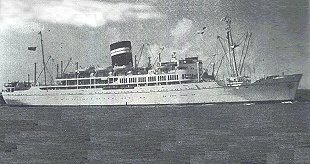 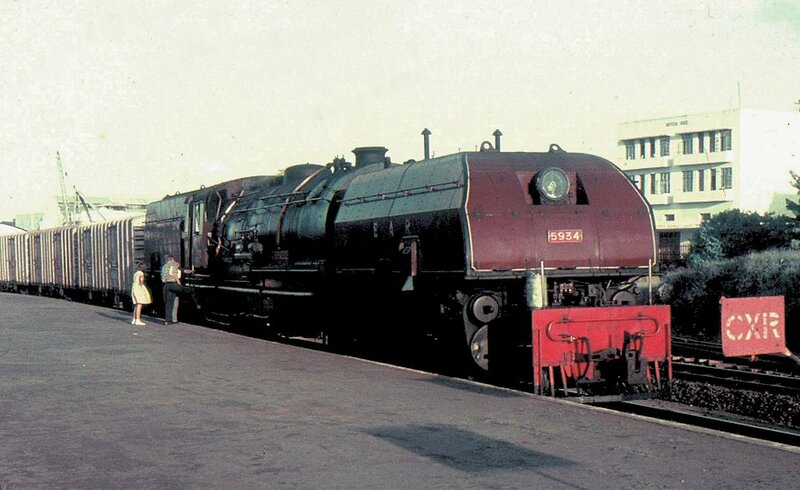 Although there were several shipping lines operating between Europe and Mombasa in the 1950s and early 1960s, the two most prominent were Union Castle (British and Commonwealth Shipping) and British India Steam Navigation Company - later taken over by P&O. 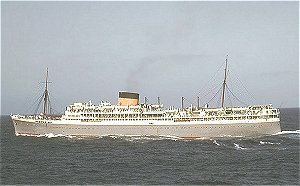 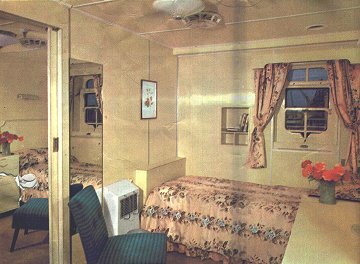 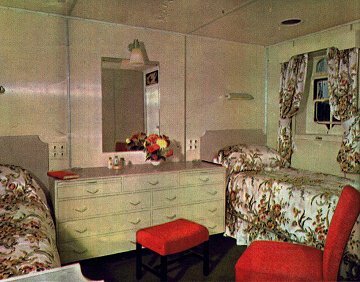 The three Union Castle ships were one class - unlike BI which carried First Class and Tourist. 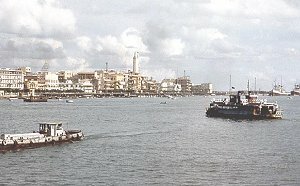 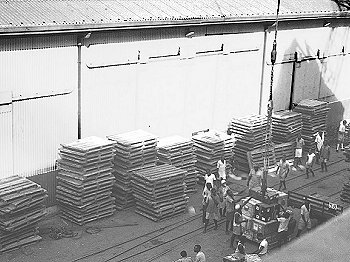 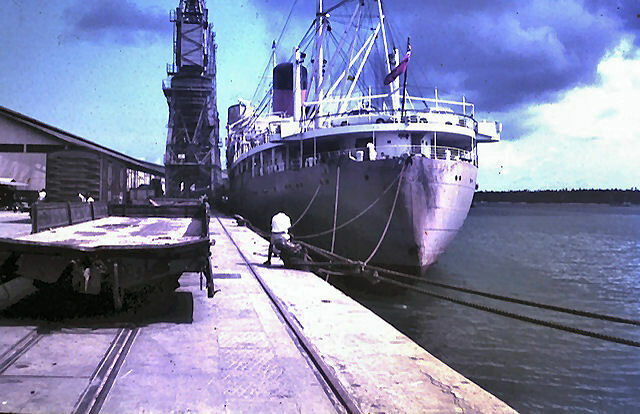 BRAEMAR CASTLE at Aden (left) and (centre) at Kilindini, Mombasa in October 1962 with International Signal flag P (Blue Peter) on the yard indicating that she is preparing to depart - even although the cranes are still working the holds. . She routed via Aden, Port Suez, Port Said, Genoa, Marsailles and Gibraltar to London, arriving in King George V Dock on a dark November's morning. 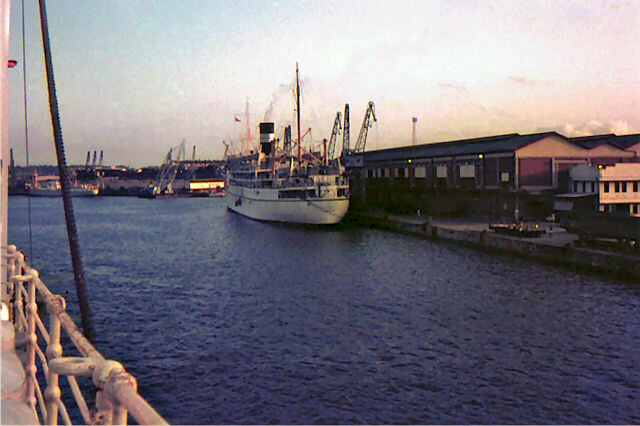 PHOTO - Malcolm McCrow. 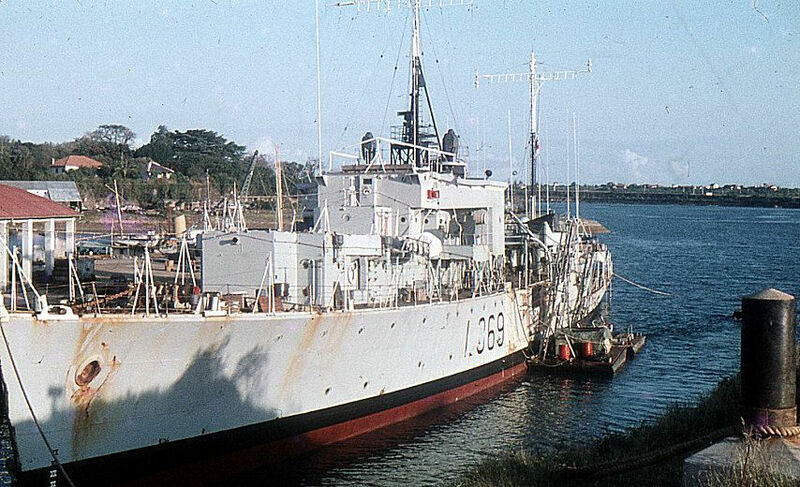 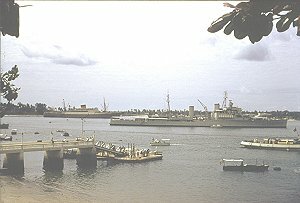 KENYACASTLE shares Dar-es-Salaam Harbour with the British cruiser HMS CEYLON - PHOTO Ron Bullock. 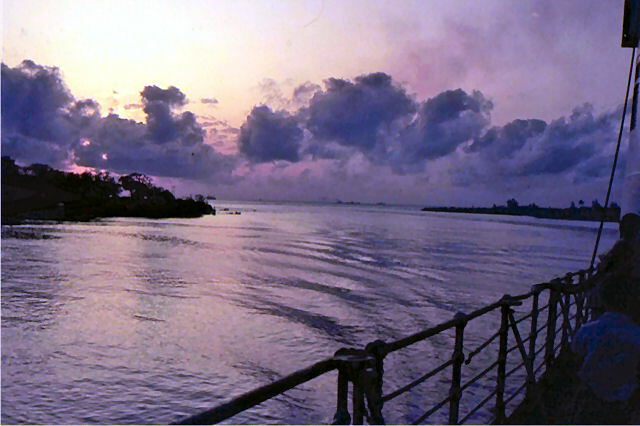 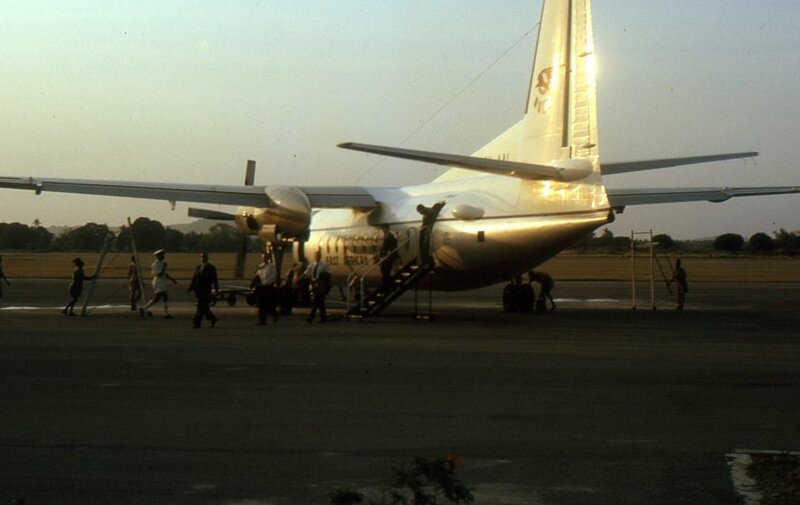 Dar-es-Salaam means "haven of peace". 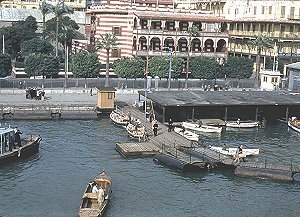 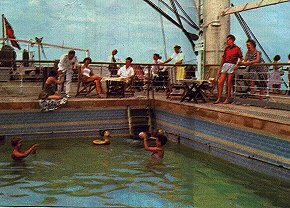 The well-remembered "cats" which weaved out from the shore to allow passengers to walk out to the ships. 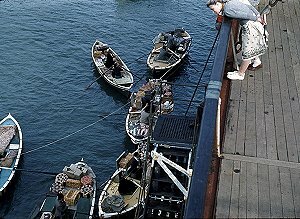 Bum boats with an endless variety of goods - but caveat emptor! 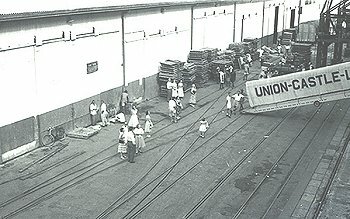 (buyer, beware!) 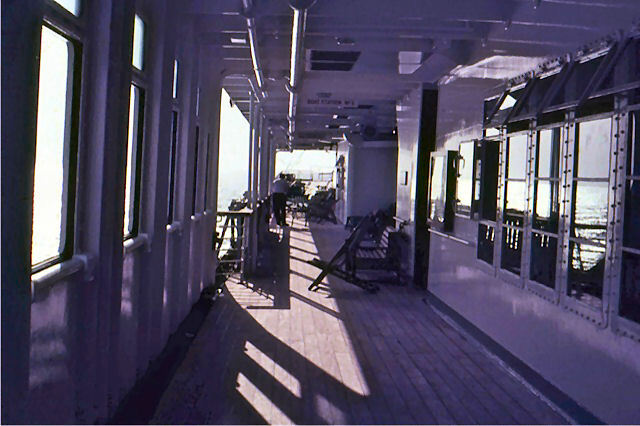 - PHOTOs RON BULLOCK. 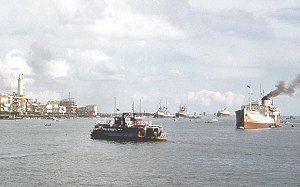 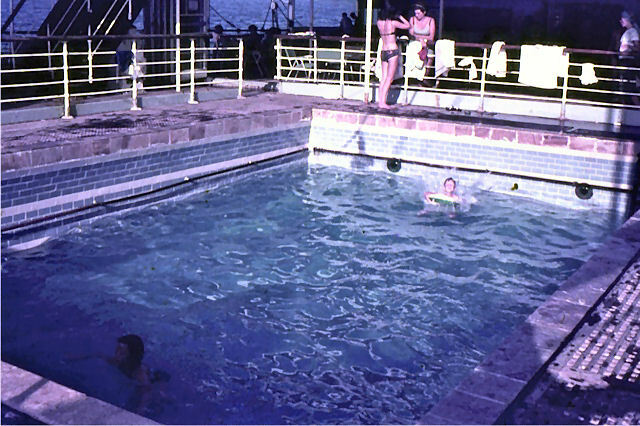 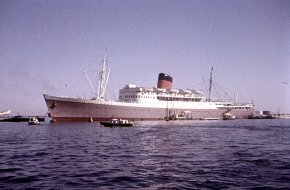 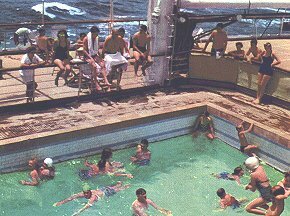 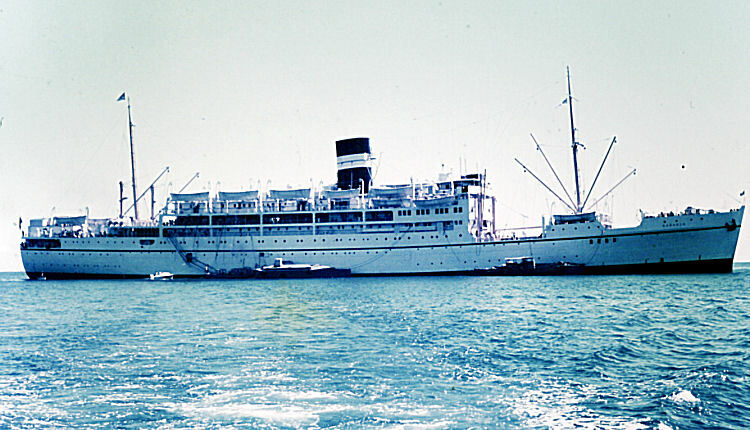 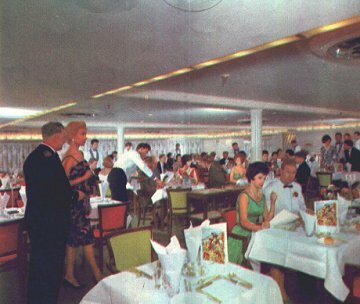 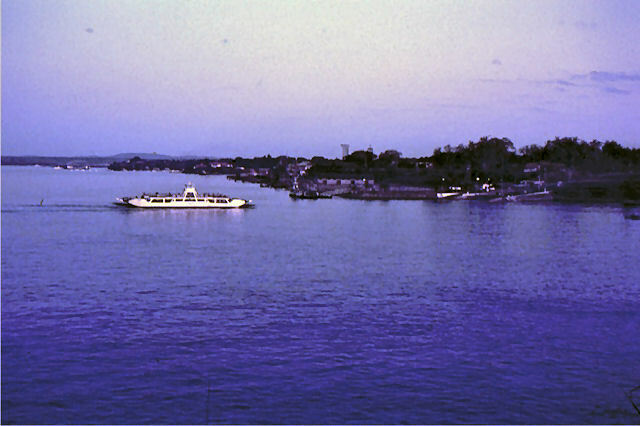 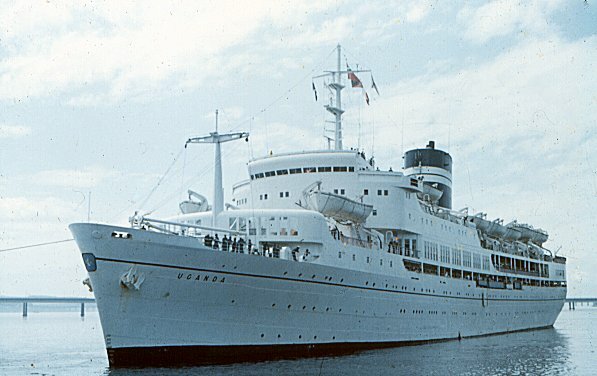 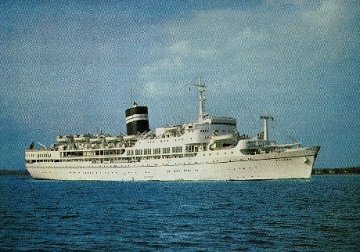 The ss UGANDA in the 1970s after being refitted as a Schools Cruise Ship (left) by which time she had passed to P&O but retained her familiar BI colour scheme. 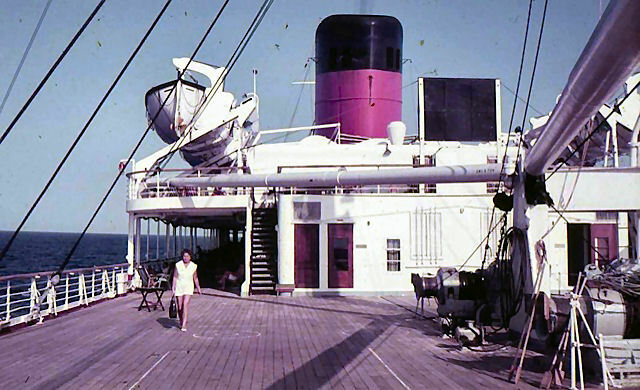 PHOTO P&O. 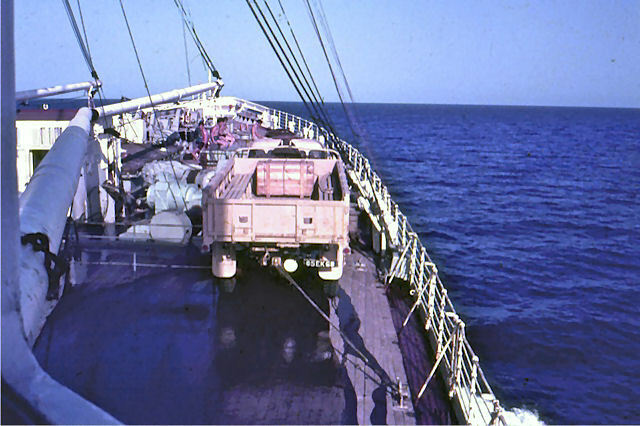 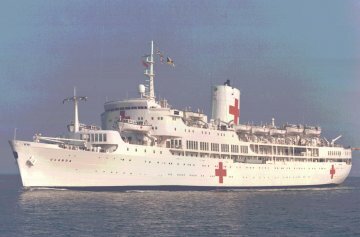 The ss UGANDA in her penultimate guise as a hospital ship in the Falklands War - PHOTOs Contemporary P&O Publicity Material and UK Ministry of Defence.